What's the best comic reader app? Nothing's better than physical comic books. The smell of the paper, the detail in the ink — it's sublime. But you don't want to take your favorite issues everywhere you go; you'll wreck 'em. 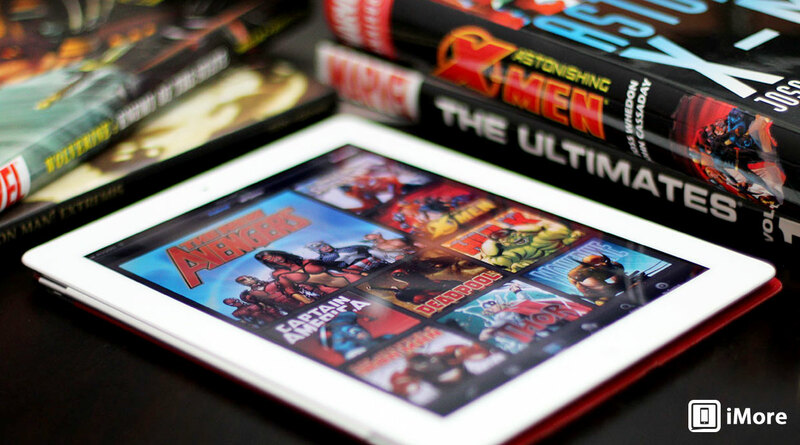 Download a great comic reader app and digitally enjoy all your favorite titles on the go, so you don't have to worry about your books becoming anything less than mint. 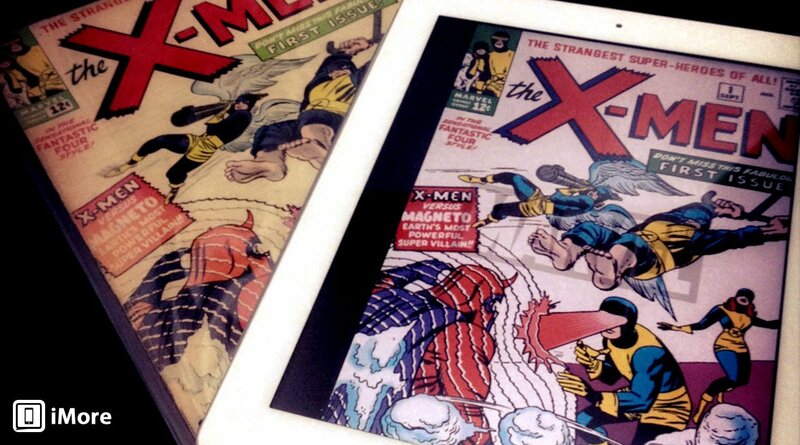 Here are our favorite comic book reader apps for iPhone and iPad! Comics by comiXology is how you get current comic book issues on your iPad. They offer a library of over 100,000 titles — and growing — from publishers including Marvel, DC, Image, IDW, Disney, and more. You can buy right from within the Comics app, which makes for a great experience (impulse shoppers be warned! 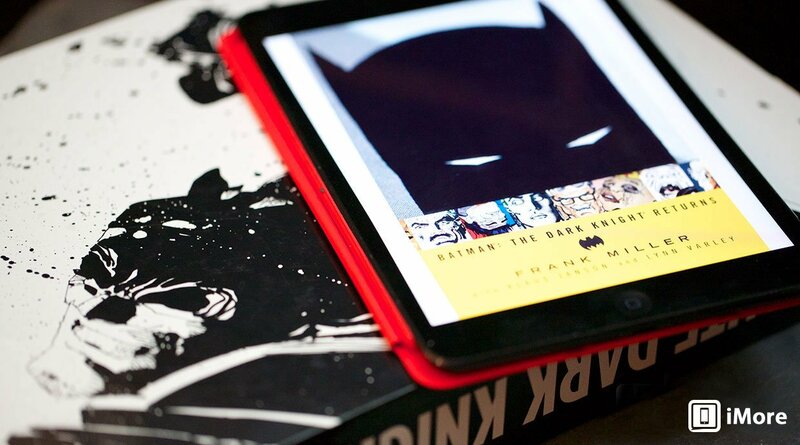 ), and with a free comiXology account, you can easily sync your purchases across devices. You can also subscribe to comiXology Unlimited and gain access to over 4,000 titles from just about every publisher besides DC or Marvel, who have their own subscription services. Subscription is $5.99 a month. comiXology also makes the individual, dedicated Marvel, DC, Image, etc. apps, but since Comics has them all, it's the one-stop shop, the newsstand reborn for the digital era. Marvel Unlimited is a subscription service like Netflix. That means you don't get current content, but you do get 70 years and 17,000 issues of back catalog comics — Spider-Man, Iron Man, the Hulk, Captain America, Thor, Wolverine, the Avengers, the X-Men, Fantastic Four, etc. — right on your iPad. I've lost many a night already to the works of Peter David, John Byrne, Art Adams, Chris Claremont, Frank Miller, et. al., and I imagine losing many, many more. Note: You can't subscribe within the app, so if you want to use the Marvel Unlimited service, make sure you head on over to Marvel.com and sign up. iBooks and Kindle are general purpose readers, but both Apple's iBookstore and Amazon's Kindle Store have an excellent selection of what used to be called trade paperbacks — collections of individual issues that form a cohesive story arc. If you don't want to buy or read each comic as it comes out or navigate through tons of back catalog to find specific stories, buying them as books is the simplest, most coherent way of doing it. With iBooks, you can buy directly within the app. With Amazon, you can buy via Amazon.com and download to the Kindle app. Why include both iBooks and Kindle, why not pick a best or just pick one and stick with it? Sadly, both sometimes have books the other one lacks or have them in geographies the other doesn't or have it at a lower price. Right now, to get as many comics as you want, you have to use both of them, even if it does split your collection and is otherwise less-than-ideal. if you already have your comics in a digital format — especially if you bought those massive Marvel DVDs containing all the early issues of Avengers, Fantastic Four, Spider-Man, X-Men, etc. in PDF — Comic Zeal should be your go-to reader. You can sync PDF, CBR/RAR, or CBZ/ZIP files straight over to Comic Zeal from iTunes via file sharing if you absolutely have to, and with Wi-Fi sync, it's easier than ever. I just drop mine into Dropbox, hit the Dropbox app on iPad, download them, hit the action button, and tell Dropbox to open them in Comic Zeal. It would be nice if Comic Zeal could hook into Dropbox (and other online storage pools) directly, eliminating a step. Here's hoping we get that in the future. iComics is your customizable digital comics experience. It supports every major comic format, like CBZ, CBR, TAR, CBT, and more. You can jump from comic to comic or smoothly turn pages, and zoom can be set to reset every time you turn the page. If you're looking for convenience and versatility in a comic reader app and have many of your own digital comics already, check out iComics. Your best comic book apps? 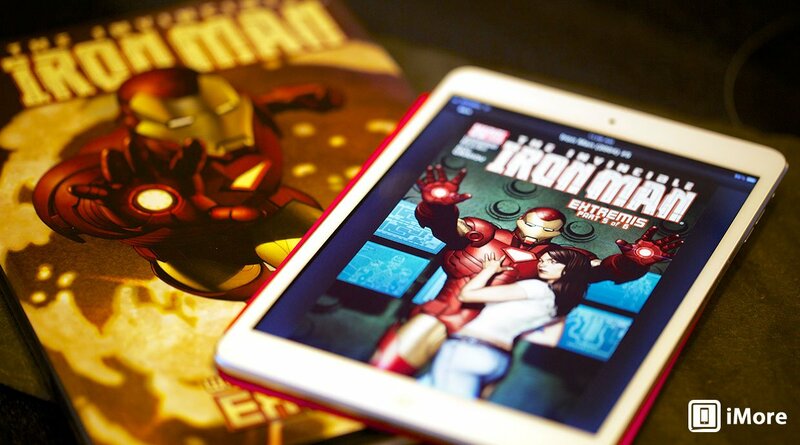 Those are my picks for best apps for comic book lovers. With them, you can get the latest issues right when they come out, access Marvel's enormous back catalog of titles, buy the trade paperbacks for the stories you love most, and even load up your existing digital comics and take them with you anywhere. It's the workflow that just works for me... but what about you? Any apps I'm missing out on? Any you'd recommend more? Let me know! And, of course... Excelsior! This article was originally published on May 6, 2013 and was updated in December, 2016 with the following changes: Changed number of issues comiXology and Marvel Unlimited have, as they have grown; added iComics.